How Can I Make Money with Amazon? Most people are very skeptical about making money online. That comes from their having being scammed before. When it comes to selling amazon items, the situation is even worse, because most people think that there is no chance to sell amazon products, because if someone needs to buy anything from that company, he will go directly to the Amazon website. But reality is quite different. If it was so, then no affiliate program would work at all. For those who have no any idea of what an affiliate program is I want to explain it in a few words. An affiliate program is when someone enters into an affiliate agreement with a merchant, and start selling that merchant’s product in exchange for affiliate commission. There are many high paying affiliate programs available on the web. Amazon doesn’t pay much but is still among popular ones. What I am going to write about Amazon is based on real experience. How to start making money with Amazon? 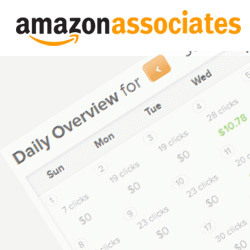 To make money with Amazon program you first need to sign up for Amazon affiliate program and set up your Amazon associates account. After creating your account you will get access to your affiliate admin panel. To know how to set up your Amazon Associates affiliate account you can find a lot of free videos on YouTube. 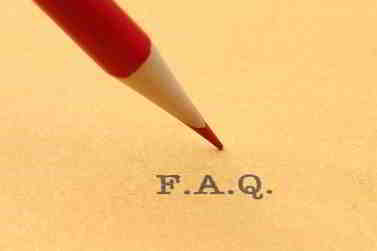 During sign up process you need to choose your associate account which depends on the country you live in. The program is unavailable in the US States: Arkansas, Colorado, Maine, Missouri, and Rhode Island. But since most amazon traffic comes from US, it is better to sign up for US account to be able to reach more people that can lead to more sales and more affiliate commission in the future. One of the biggest problems with Amazon program is that they don’t ship big items, like electronics, outside of US and so you will lose some customers. But another great thing about Amazon is that it is #1 website for online shopping and people trust it. 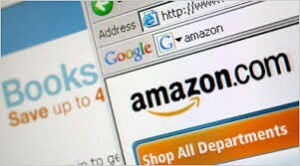 When you work with a trusted website such as Amazon it is much easier to convert a visitor to a customer. Before we look into other details in regard to Amazon program I would like to show you how much money you can make with Amazon and what you need to be able to do that. First of all you should keep in mind that any business starts slow and then grows over time. Don’t expect thousands of dollars overnight and don’t trust those people showing you their six figure checks. I am going to show you something more real. So, if you have your website up and running connected to your Amazon associates account and you have steady traffic to your website then you can start making real money. Also, your site must be clearly marked as an affiliate site and you can’t take reviews, content or ratings from the Amazon website. But what kind of traffic you need to start making money? Actually if you have targeted traffic, no matter how much, you can make money. But if your traffic is around 300 unique visitors a day it is quite real to start making sales. Normally Amazon pays 4% commission for most of their products but it depends on the type of the product. For some products they pay 4%, for others 5 or 6% and up to 8, 5 %. So, if you have 300 unique visitors a day (a targeted traffic coming from search engines) which is very real then out of every 100 visitors you can make one sale. If you sell a 100$ product then 4% commission = 4$. Three sales a day = 12$ and it comes to 360$ per month. If you work on your website consistently then your traffic is going to increase up to 1000 unique visitors a day and it is very real. 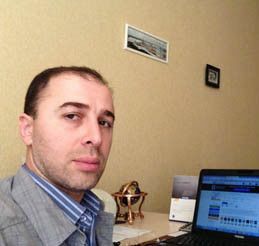 I am involved in online business and a member of a big online business community and I know many people who have websites with daily traffic 1500/2000 visitors a day. It’s absolutely achievable within a year or two. One of my friends that has a small website selling amazon products, has a 100 visitors a day and he makes $3000 each and every month. If you have 1000 visitors a day then your sales will increase seriously. At 1000 visitors a day = 7/8 sales at least. If you sell a 100$ product, that comes to 700/800$. With 4% of affiliate commissions, that comes to 28/32$ per day and 840/960$ per month. This is pretty good sales and commissions. Note, that I am calculating just one product. Normally, affiliates promote many products at different prices. Some products may cost over 300$ or even higher. The higher the price, the higher is the commission. All this adds up and finally comes to much higher commissions, twice or thrice more than the amount I’ve shown above. Some visitors buy more than one product at a time and this also adds up to your commissions. Sometimes selling a few small items makes better commissions than selling one big item. These are real figures without any hype. Some Amazon affiliates make thousands of dollars. You can also make extra sales when you have your list of email subscribers. Write them something engaging or announce a special discount on specific products, insert your affiliate link and you have another sale. But never spam or overuse this technique because no one likes spam. Remember that to build a list requires time, patience and efforts to be applied. But it is not as easy as you might be thinking. Read my article on email marketing and building a list. To increase sales you can apply the same tactic during holidays or discount campaigns announced by Amazon from time to time. Another advice for increasing sales is to sell related products, i.e. if you sell PS3 or Xbox 360 you can sell anything related to these devices, joystick, kinect sensor, games. 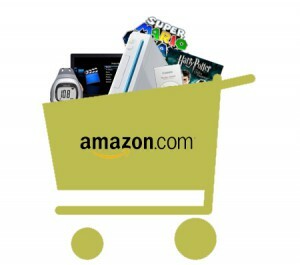 Another great way to increase sales is to take benefit of Amazon offers to pre-order specific products. You can create a “special offers” page on your site for such products, announce them on your site or via email and get more sales. But how can you make it possible? And how long can it take to reach that kind of success? 1.First and foremost you need to create an interesting, engaging content. What I mean by content is that you need to create a blog and write informative, honest reviews on different products and at the end of your reviews insert your affiliate link going to Amazon. For example, you can start a blog related to electronics, Ebooks, mobile phones or portable computers like Ipad, Samsung etc. Creating honest product reviews is the best way to earn people’s trust, and a key to your success, because people that are looking for product reviews are the ones who are in a buying mood. 2. Choose a product that makes you passionate to write about, and do the work consistently. 3. 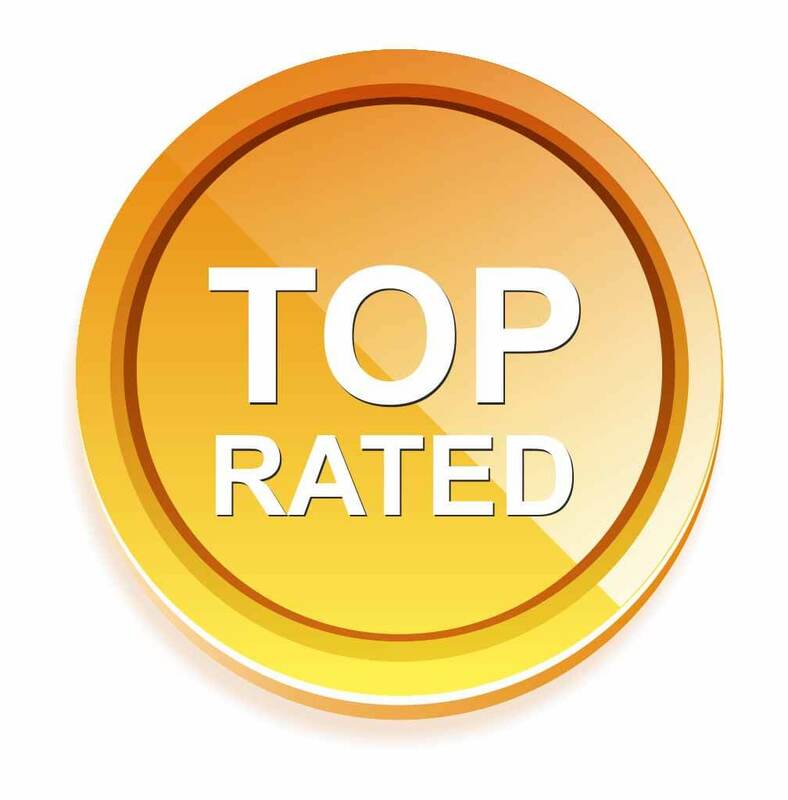 Your reviews must be honest and informative, outlining not only positive but negative sides of a product. Don’t let your readers expect from an advertised product, what it fails to deliver. Why is being honest so important? Because if you are honest in your reviews then your visitors will trust you and can convert into customers much easier. They will become not only your customers but return visitors as well. That is the key to success! Don’t ever think of a quick sale. Always think bigger. 4. Write as much as possible because the more content you create the more pages of your website will get ranked by Google which means more traffic and more sales. Of course, not all your pages will get ranked but some of them definitely will. Once you’ve created your affiliate account you need to link the products to your website. You don’t earn commissions from returned products. Commissions can be paid by cheques, bank transfers or you can store your credits. Commissions are not too high, up to 8%. Affiliate cookie works within 24 hours (special script that tracks an affiliate link from an advertiser website, to the merchant’s website, until transaction is completed. This results in an affiliate commission in favour of the affiliate. But don’t worry about that because in spite of this short-time cookie affiliates all over the world are making serious money on Amazon. Finally, I would like to point out that I tried to be honest with you. My goal was to give you a clear idea on what you can expect from this program as an affiliate and how long it takes to build a real business. Any business needs time to grow and if you work hard and consistently it will pay off later. Just give it a time, 1/2 years at least and you will be successful. And here is a motivational post from my fellow-member of WA. Those two guys are just like me, members of online business community I’ve mentioned above. Actually, the online business community (Wealthy Affiliate) helped them and me as well to build our businesses. Those two websites are not the best ones in the field because both of them joined the community a year ago but they are doing it the right way, making money and their websites will definitely grow to something bigger. It is a matter of time only. And before taking a decision in regard to Amazon program please read the article by one of the members of WA, my e-friend Robert. I hope my article was helpful and if you have any questions feel free to contact me. If after reading my article you’ll decide to start your own business then I can recommend you to start from the right place – WA. Once inside WA you will find a lot of stuff related to Amazon program, how to set up your account, how to link amazon products to your site and there are many members that can help you achieve your goal with Amazon program simply because they have experience in the program. WA will save you from wasting your precious time and money on numerous scams. If you have any questions feel free to contact me and I will be more than happy to help you out. Read my review of the WA below. I really can’t give you any recommendations because this is how Amazon program works. Probably you can also promote products from Wallmart, Aliexpress, Alibaba. Try them out because I know that they pay a much higher commission to their affiliates. I have registered to Amazon Associates program and I hope that I could make some money there selling useful products. Yet I haven’t made even a single sale but I’m hopeful and I believe that I if I work better and more, I will get sales. May I ask, how much you have earned with Amazon Associates? It’s good that you have registered your account with Amazon and set your goal. I’m sure if you work hard you will be making a solid income through Amazon associate program. I personally know people and their amazon affiliate websites that are making money, something between $3000-$5000 per month. I personally haven’t made any money with Amazon yet, but I have experience selling stuff online. 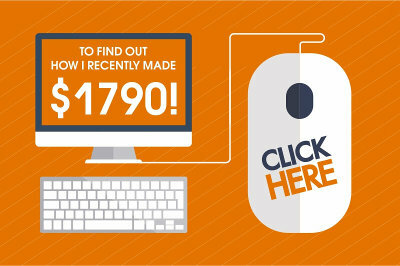 For example, I recently made $394 for two days of promoting one single product on my website. It doesn’t really matter what you are promoting. Once you have experience in promoting product A, you can easily promote product B and make money. Hope it helps. Your walkthrough of amazon’s affiliation program is very complete and answers a lot of questions along the way. I will be setting up an affiliate account with a few sites soon so seeing the process laid out in an easy to read format is very beneficial. You can really tell that you’ve gone through the process yourself as your steps make a lot of sense. Thank you for stopping by RStark. I’m glad you like my article about Amazon associate affiliate program. Glad to hear you’re planning to launch Amazon affiliate sites. The opportunity is really appealing and promising and I have many e-friends who are running Amazon sites and they are successful with it. I can definitely help you once you decide to start your site though I don’t have any experience in Amazon program. But I have experience in affiliate marketing and I think I can give you some good recommendations. BTW, I want to give you one piece of advice. As I know Amazon has the right to cancel your affiliate account if you don’t make any sale in the first 3 months after joining Amazon associate program. That’s why, try to be very active, especially when you are starting out your Amazon site. Write a lot of content and actively promote it through social media. I’m sure you can make at least one sale in the first 3 months because many people do it easily. And BTW, I’ve done an in-depth research on the topic and believe you can benefit from it a lot. At least it will save you hours of research. But it’s not the most extensive research though and I recommend you to continue your research. You can contact me at any time. I think I can give you more recommendations.